Singapore’s version of New York City’s High Line is fast becoming a reality, with the masterplan and concept design of the first stage of turning an unused rail corridor into public space now complete. 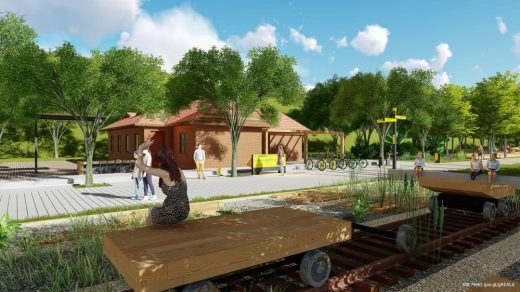 The Urban Redevelopment Authority (URA) of Singapore held an international competition to transform the former Keretapi Tanah Melayu (KTM) Railway Line into a publicly accessible space. The total decommissioned rail corridor site is 24 kilometres long and is about 100 hectares in area, stretching from north to south across Singapore. Once complete, people will be able to cycle or walk its entire length, or access parts of the path at their leisure. Competition winner Nikken Sekkei and its partner, Australasian design firm The Buchan Group, collaborated to develop the project’s graphics and wayfinding strategy. The Buchan Group Brisbane Director Gary Edmonds said the transformation of the rail corridor has been an exciting project to be part of. “This is Singapore’s 24km version of New York City’s High Line,” he said. “As well as being a diverse physical environment, the rail corridor has immense spatial reach and is a timeless legacy for Singapore given its ecologically sensitive environment. 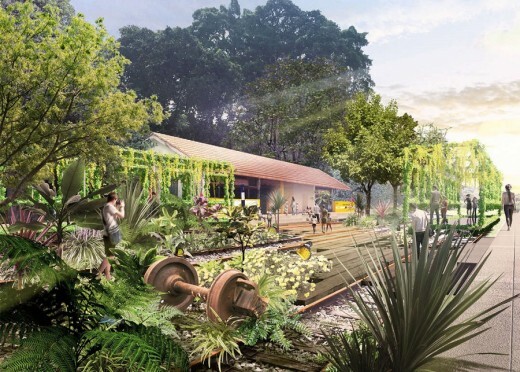 “The revitalisation of the decommissioned rail route will change how Singaporeans engage with the outdoors. “We see it as not merely a linear green corridor but rather a people-centric symbol that stitches the nation with a collection of lives, growing into a spine that inspires and symbolises a new healthy and active lifestyle of Singapore. 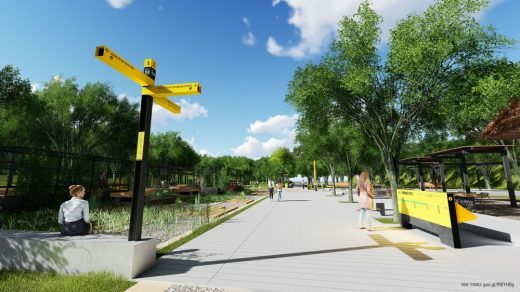 “The wayfinding strategy establishes seamless connectivity for pedestrians and cyclists, helping to create an inviting space for exploration and discovery. 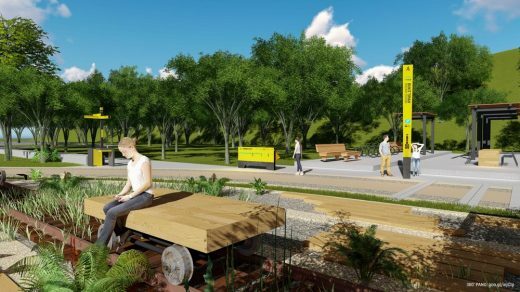 “With its yellow and black colour palette, the wayfinding signage references the rustic character of the former railway and its overall identity as a green corridor. “Walkers, joggers and cyclists are able to engage with the wayfinding program and immediately identify what their location is, how many kilometres they’ve covered and distance to amenities and rest points. The Urban Redevelopment Authority of Singapore is currently evaluating the proposals for implementation over the next few years. The Lines of Life Rail Corridor Masterplan, Singapore, this month (November) won the Analysis and Master planning category of the International Federation of Landscape Architects’ Asia-Pacific Landscape Awards 2017. The Buchan Group, Brisbane was credited as the Signage and Wayfinding Consultants and Nikken Sekkei was credited as the Landscape Architect. For more information about the rail corridor project, please visit: https://www.ura.gov.sg/ms/railcorridor/.